Hail Favored One | "Northern Crossings"
I was strangely moved as I came home last night listening to radio and the music being played as President Bush was brought into the Capitol rotunda to lie in state. He evidently had chosen two hymns that I found fascinating and evocative of faith, trust and eternal well being. The hymns were “Beautiful Savior” and Luther’s “Mighty Fortress”. Anyway that got me thinking of that word “hail” and the book I have been mentioning to you called “A Little Book On Joy” by Matthew Harrison. I wrote some songs and put a CD of meditations on the subjects raised in that book and one of the songs has to do with the word “hail”. According to Harrison “Hail” is a cognate of joy and could be translated “rejoice”. Luke 1:26And in the sixth month the angel Gabriel was sent from God to a city of Galilee, named Nazareth, 27To a virgin espoused to a man whose name was Joseph, of the house of David; and the virgin’s name was Mary. 28And the angel came in to her, and said, Hail, you that are highly favored, the Lord is with you: blessed are you among women. 29And when she saw him, she was troubled at his saying, and cast in her mind what manner of salutation this should be. 30And the angel said to her, Fear not, Mary: for you have found favor with God. 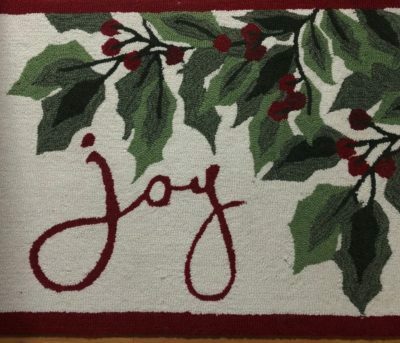 Like a lot of people I know, Mary when hearing a greeting of joy, is troubled and wonders what it means. Fascinating.